Is Inverter-Type Air Conditioning System More Energy Efficient? A multitude of cooling systems are available in the market nowadays. You have to select the one that would serve your cause, while at the same time energy efficient. Before deciding on any air conditioner, you should conduct research about the technology, brand cooling capabilities and the price of the item. After you acquire all the relevant information, it would be easier for you to select the product which is durable and energy efficient. 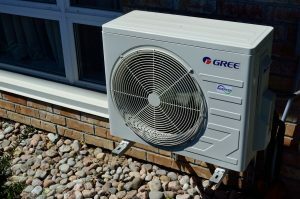 For people living in humid areas like Texas, a cooling machine is an essential requirement, as the environment is humid most of the time throughout the year, on top of being intolerable in the summer. In the tropical countries, you may experience high humidity most of the time. It is hard to cope with these high temperatures without the aid of an air conditioning unit. You may use the inverter-type air conditioning system that comes with advanced technology, aside from operating automatically depending on the temperature of your room. When temperatures return to normal, it will run slowly. When the temperature rises, it will work faster to ensure the temperature of the room is kept in check. It comes with a simple and automated operating system. You do not have to apply any extra effort to manage the temperature level. The inverter type AC system comes with a sensor that records current temperatures and then controls the energy appropriately. Therefore, this leaves us with the question, is inverter-type air conditioning system more energy efficient? The inverter type air conditioner is energy efficient. This is among the key features possessed by this type of AC unit. It consumes nearly 30% less electricity compared to the custom and non-inverter type ACs. With this developed system, you do not have to keep switching the system on and off just to get the required temperature. It has an automated system that makes the necessary adjustments to keep the temperature in check. If you compare this type of air conditioner with the custom type inverter, you will realize that the traditional type of inverter was unable to take the excess load and would be damaged with a heavy load. A heavy load can additionally lead to serious consequences like fire breakout. However, this would not happen with inverter-type air conditioning unit. They are capable of managing high loads, operating smoothly even under high load. Therefore, the possibility of accident occurrences and damages is less for this type of AC. If you go for the custom air conditioning units, you may be disturbed by the loud noise emanating from the system. It may even spoil your sleep at night. However, the inverter aircon is silent and does not produce noise pollution in your home. Therefore not much disturbance witnessed through the night. Inverter-type air conditioner gives a high level of comfort. It needs less maintenance and can work smoothly for long.